Properties in Harwich average 4.7 out of 5 stars. Property 2: Harwichport Center Condo, Walk to Beach! Property 5: Short Distance to Downtown Harwichport & Beach! Cloud 9 - Community Pool. Walk to beach. Private yard & AC ! Property 6: Cloud 9 - Community Pool. Walk to beach. Private yard & AC ! Property 7: Modern, Light and Airy Pet Friendly One Bedroom with Cathedral Ceilings. Property 8: Waterfront Location on Cape Cod's Largest Lake!! Property 15: Cape Cod Oceanfront Beachfront New Condo with Ocean View & Private Sandy Beach! Property 23: AFFORDABLE OCEAN EDGE CONDO FOR FOUR! Property 26: New Listing on VRBO. Charming Cape Cod Escape! Property 28: UPGRADED CONDO FOR 6 CLOSE TO COCKLE COVE BEACH! Property 30: Cozy studio cottage - within walking distance of the beach and dining! Property 34: #422: Waterfront w/ amazing views! Boat Dock; Dog Friendly! Property 35: Pristine Year Round Retreat in Private Lewis Bay Compound w/video tour! Property 37: Home Away From Home! Property 38: Captain's Row - Chatham Townhome with Community Pool and Tennis -Central Air! 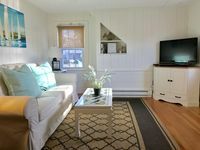 Property 41: Cozy Cape Cod studio, 5 minute walk to beach - great weekend getaway! Property 43: BEST PRICE AT OCEAN EDGE RESORT! Property 44: Mayflower Beach and Dennis Village rental. North of Rte 6A on Beach Street. Property 46: Walk to Haigis & Glendon Road Beaches! 2BR condo with private patio and WIFI! Property 47: Cape Cod condo at Ocean Edge resort. 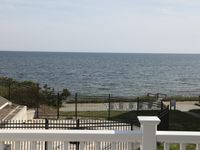 Property 50: Updated Ocean Edge Resort Condo - Cape Cod Living @ its Best!